Gorgoroth are no strangers to controversy. Their exploits have branded the Norwegian stalwarts as black metal's bad boys and anyone who familiar with that scene knows that's no easy feat to accomplish. In the fall of 2007, longtime members Gaahl (vocalist) and King ov Hell (bass) left the band and the split was anything but amicable. The two musicians claimed they had fired founding guitarist Infernus and they would be carrying on the Gorgoroth name with him. Lawsuits were quickly put in motion and a few days ago a city district court in Oslo, Norway judged that Infernus had the rights to the band name. The court states that King ov Hell and Gaahl excluded themselves from the band when they tried to fire Infernus. 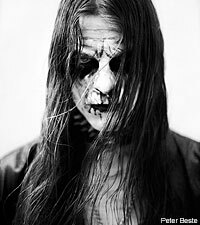 The court further states that Infernus cannot be excluded from Gorgoroth, unless he himself decides to quit. In an exclusive interview, Infernus talks to Noisecreep about the verdict. You didn't seem that surprised that you won the verdict in the trademark case? At any point in the trial did you think you might lose the decision? No, not really. I always knew I was doing the right thing. I've been stating since October of 2007, quoting paragraphs from the Norwegian laws confirming this, that I would have a really strong case. At no point did I think I would lose this case. That said, I obviously did not take anything for granted and I spent my time wisely building a solid case. It was a matter of utmost importance for me to be able to continue doing Gorgoroth for as long as I want. I started the group back it in the old days, years before I invited those other two. I would not take the risk of not getting paid back properly when the 7th bassist tried to do what he did which was steal the name of the band and make the trademark his personal property by going behind my back with a trademark application. When reacting to the verdict, King ov Hell and Gaahl hinted that you might have won the first part of the case but there was a lot more stuff to come. What else can we expect in the coming year in terms of the court battle? What else was in question? (laughter) Court battle? Paperwork is what I really call it! Actually paperwork is, as I've seen it, is what others should refer to it as well. There's nothing more dramatic than that to it. The verdict is as it was presented last Tuesday, a partial verdict. In terms of the main question about King's trademark registration, the verdict is clear as day. King and Gaahl excluded themselves from the band in October 2007 by trying to get rid of me and their registration of the trademark is invalid and shall be deleted. The verdict further states that I cannot be excluded from the band by others. the other issues which are still waiting to be settled are economic matters and some other formalities. But that's really it. Gaahl and King ov Hell have also dismissed your contributions to Gorgoroth so I wanted to give you a chance to react to that. I have seen they have had their time in the media lately but in this case history speaks for itself. I do not need to justify anything I have done or not done. I have more important things to do with my time. When I am finished with the legal matters in an appropriate way, I'll have some real work to do. I'm not spending time in the newspapers talking about ex-band members and whether they have been right or not. I've have had enough of this for now. It's time to rise above that and get back to focusing on what Gorgoroth is really all about - a synthesis of metal music and Satanism.